Fifteen years after running from his troubled childhood in the American Midwest, Beckett Jensen has reinvented himself as the owner of a successful upscale winery in Paso Robles, California. But his serenity is overturned when his past comes back to haunt him in the form of an unruly group of former schoolmates, who arrive unannounced. What begins under the guise of a social visit with drunken hijinks and a hilarious wine tour turns nasty as the unwelcome visitors’ true intentions are revealed. A rough a combination of guilt, blackmail, and physical threats, they force Beckett to assist them in plotting a daring crime. If he participates, it’s almost guaranteed they’ll all be caught and go to prison. But if he refuses, his new life, his winery, and everyone he loves will be destroyed. Caught in a terrible dilemma, Beckett is forced to reckon with the burdens of his past and tap into the darkness within, hoping it is powerful enough to conquer the darkness without. 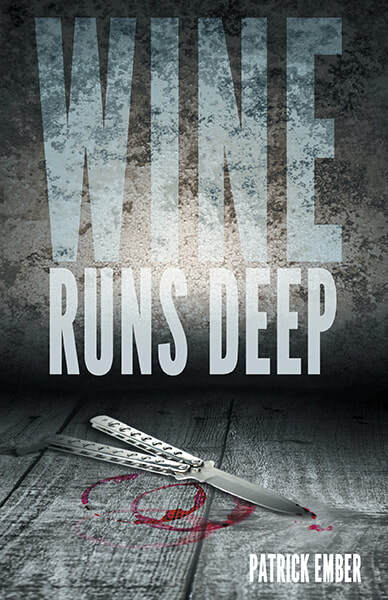 If you enjoy the world of wine, a good thriller and a little romance, you will love ‘Wine Runs Deep’. Intrigued? Pick up a copy, grab a glass of your favourite wine and get comfy for a great summertime read.